This article is about the American journalist. For the rhetorician, see Edwin Black (rhetorician). Edwin Black is an American syndicated columnist and investigative journalist. He specializes in human rights, the historical interplay between economics and politics in the Middle East, petroleum policy, the abuses practiced by corporations, and the financial underpinnings of Nazi Germany. Black is the son of Polish Jews who were survivors of the Holocaust. His mother, Ethel "Edjya" Katz, from Białystok, told of narrowly escaping death during the Holocaust by escaping a boxcar en route to the Treblinka extermination camp as a 13-year old in August 1943. After escaping, she was shot by militiamen then rescued by a Polish Jewish fighter whom she later married. Black's father described escaping his own murder by fleeing to the woods from a long march to an isolated "shooting pit" and subsequently fighting the Nazis as a Betar partisan. The pair had survived World War II by hiding in the forests of Poland for two years, emerging only after the end of the conflict and emigrating to the United States. Of his own origins, Black has written: "I was born in Chicago, raised in Jewish neighborhoods, and my parents never tried to speak of their experience again." In his book The Transfer Agreement Black notes that following in the beliefs of his parents, he was from his earliest days a supporter of the State of Israel. As a young man he spent time on a kibbutz, visited Israel on several other occasions, and gave earnest consideration to permanent residency there. Black began working as a professional journalist while still in high school, later attending university where he further developed the craft. He also was a frequent freelance contributor to the four major Chicago newspapers of the day, the Tribune, the Daily News, the Sun-Times, and Chicago Today, as well as such weeklies as Chicago Reader and Chicago Magazine. In 1978, Black interviewed the American Civil Liberties Union lawyer who represented members of the American Nazi Party, which had marched provocatively through the predominantly Jewish Chicago suburb of Skokie. In preparing himself for that interview, Black's interest was piqued in the hidden history of relations between the government of Adolf Hitler and German-Jewish Zionists during the first years of the Nazi regime. Five years of research followed, ending in the 1984 publication of his first book, The Transfer Agreement: The Dramatic Story of the Pact Between the Third Reich and Jewish Palestine. In the early 1990s Black served as the editor-in-chief for OS/2 Professional magazine and OS/2 Week and reported on OS/2 users and technology. Black's books have typically made use of networks of volunteer and professional researchers assembled for each project. 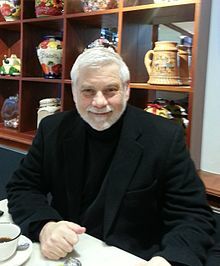 Three years before completion of his 2001 book, IBM and the Holocaust, Black began to put together what would ultimately become a team of more than 100 researchers, translators, and assistants to work on discovery and analysis of primary source documents written in German, French, and Polish. In all, more than 20,000 documents from some 50 different libraries, archives, museums, and other collections were assembled and analyzed in the writing of the book. In the fall of 2012 it was reported that Plan B, a production company owned by actor Brad Pitt, had taken an option on a cinematic adaptation of Black's IBM and the Holocaust. Marcus Hinchey, co-writer of the 2010 film All Good Things, was tapped for script-writing responsibilities. Black has written on topics beyond that of 1933-1945 German history, including books on the issue of oil dependence, the history of Iraq, and alternative energy. He is presently a contributor to the online magazine, The Cutting Edge. Black has also occasionally written on the subject of film and television music, contributing opinion pieces and composer interviews to various print and online publications. An aficionado of musical soundtracks, Black regularly credits specific works which have provided "musical inspiration that propelled the writing" in the introductory notes to each book. He has written an article critical of Wikipedia, "Wikipedia—The Dumbing Down of World Knowledge"
In November and December 2014, he went on a 45-event "Human Rights Tour." In North Carolina, Black reportedly appeared nine times in three days speaking out against the persecution of Yazidis, Shia Muslims, and Christians in Iraq, racial injustice in America and its impact on the November elections, as well as environmental injustice arising out of oil addiction, journalistic ethics in covering human rights, bias against Jews in Israel, and a health care crisis in the Middle East. At one of his November events, a lecture about his book Financing the Flames presented at Guilford College in Greensboro, North Carolina, some members of the audience associated with a group called Students for Justice in Palestine participated in an organized walk-out over his positions on the Mid-East conflict. Black's ten works of non-fiction have been translated into an array of non-English languages, including French, Polish, Hungarian, Dutch, German, Spanish, Japanese, Portuguese, and Hebrew. 1985: Carl Sandburg Award of the Friends of the Chicago Public Library for best non-fiction book of 1984, for The Transfer Agreement. 2003: Outstanding Book Award: General Nonfiction from the American Society of Journalists and Authors (ASJA) for the book IBM and the Holocaust. 2003: Donald Robinson Award for Investigative Journalism from the ASJA for the article "Final Solutions: How IBM Helped Automate the Nazi Death Machine in Poland," published in The Village Voice. 2005: Best World Affairs Book Award from the Great Lakes chapter of the World Affairs Council for Banking on Baghdad. 2007: Honorable Mention for General Non-Fiction Books from the ASJA for the book Internal Combustion. 2016: "Moral Compass Award" from The Holocaust Museum and Education Center of Southwest Florida for lifelong achievement. 2011: "Moral Courage Award" for War Against the Weak, granted by The Initiative for Moral Courage, San Diego State University, and Joan B. Kroc Institute for Peace and Justice, The Center for Ethics in Science and Technology, USC Shoah Foundation Institute for Visual History and Education, The Anti-Defamation League, California State University, San Marcos Arts & Lectures, Institute for World Justice, Daniel Pearl Music Days, Harmony for Humanity, Armenian Law Students Association, and Thomas Jefferson School of Law. 2011: "Drum Major for Justice Award" for War Against the Weak, granted by North Carolina Central University. 2011: "Justice for All Award," for War Against the Weak, granted in a Congressional ceremony by the Association of Americans with Disabilities. The Transfer Agreement: The Dramatic Story of the Pact Between the Third Reich and Jewish Palestine. New York: Macmillan, 1984. Format C: (novel) Washington, DC: Dialog Press, 1999. IBM and the Holocaust: The Strategic Alliance between Nazi Germany and America's Most Powerful Corporation. New York: Crown Publishers, 2001. War Against the Weak: Eugenics and America's Campaign to Create a Master Race. New York: Basic Books, 2003. Banking on Baghdad: Inside Iraq's 7,000-Year History of War, Profit, and Conflict. Hoboken, NJ: John Wiley & Sons, 2004. Internal Combustion: How Corporations and Governments Addicted the World to Oil and Derailed the Alternatives. New York: St. Martin's Press, 2006. The Plan: How to Rescue Society When the Oil Stops — or the Day Before. (cover title) Washington, DC: Dialog Press, 2008. Nazi Nexus: America's Corporate Connections to Hitler's Holocaust. Washington, DC: Dialog Press, 2009. The Farhud: The Arab-Nazi Alliance in the Holocaust. Washington, DC: Dialog Press, 2010. British Petroleum and the Redline Agreement. Washington, DC: Dialog Press, 2011.
Financing the Flames: How Tax-Exempt and Public Money Fuel a Culture of Confrontation and Terror in Israel. Washington, DC: Dialog Press, 2013. Götz Aly and Karl Heinz Roth, The Nazi Census: Identification and Control in the Third Reich. Introduction and translation by Edwin Black. Additional translation by Assenka Oksiloff. Philadelphia: Temple University Press, 2004. John Friedman (ed. ), The Secret Histories: Hidden Truths That Challenged the Past and Changed the World. New York: Picador Books, 2005. Eric Katz (ed. ), Death By Design: Science, Technology, and Engineering in Nazi Germany. New York: Pearson Longman, 2006. Alan Dershowitz (ed. ), What Israel Means to Me: By 80 Prominent Writers, Performers, Scholars, Politicians, and Journalists. Hoboken, NJ: John Wiley & Sons, 2006. Michael T. Wilson (ed. ), Democracy: Opposing Viewpoints. Farmington Hills, MI : Greenhaven Press/Thomson Gale, 2006. Tobias Daniel Wabbel (ed. ), Das Heilige Nichts: Gott nach dem Holocaust (The Holy Nothingness: God after the Holocaust), Düsseldorf, Germany: Patmos Publishers, 2007. IBM's Role and the Holocaust, Guerrilla News Network, 2002. Racism: A History, BBC, 2007. Eugenika: w imie postepu, Grzegorz Braun TVP, 2010. ^ a b Betty Kliewer, "Ethyl Black Inspired a Generation with Holocaust Survival," The Cutting Edge News, Feb. 15, 2005. ^ a b c d Edwin Black, "Introduction to the 1984 Edition," The Transfer Agreement: The Dramatic Story of the Pact Between the Third Reich and Jewish Palestine. Washington, DC: Dialog Press, 2009; pg. xxii -xx111. ^ Edwin Black, "Introduction to the 1984 Edition," The Transfer Agreement, pg. xxi. ^ "In Search of Stupidity, Excerpts from Chapter 1". ^ "Windows NT 4.0: Corporate Desktop Standard". ^ Black, IBM and the Holocaust, pg. 13. ^ a b "Brad Pitt to Produce Movie on IBM & the Holocaust," The Jewish Voice, Sept. 19, 2012. ^ See, for example, Edwin Black, Financing the Flames: How Tax-Exempt and Public Money Fuel a Culture of Confrontation and Terror in Israel. Washington, DC: Dialog Press, 2013; pg. xxiii, in which he credits specific works by Hans Zimmer, Anthony Gonzalez, and Jerry Goldsmith. ^ Monreal, "Best-selling Author Remains a Road Warrior for Human Rights." See also: Mariana Barillas, "Noted Author Edwin Black Schools Students on the Roots of Racism," Spero News, December 9, 2014; and David Bloom, "Award-winning journalist talks about Ferguson, the Middle East," Hometown Life.com, December 21, 2014. ^ Amol Garg and Valeria Sosa, "Human Rights Author Edwin Black Met with Backlash and Walk-Out," The Guilfordian, Nov. 14, 2014. ^ "Edwin Black" author search, WorldCat, Online Computer Library Center. Retrieved May 8, 2010. ^ Martin Barillas, "Author Holds Historic Event on The Transfer Agreement," The Cutting Edge.com, October 12, 2009. Retrieved May 9, 2010. ^ a b "ASJA Presents 2003 Writing Awards". American Society of Journalists and Authors. asja.org. ^ "Awards," Edwin Black.com. Retrieved May 9, 2010. ^ "2007 Awards (archived)". American Society of Journalists and Authors. Archived from the original on 2008-05-09. ^ "Edwin Black Speaking Series - Holocaust Museum and Education Center of Southwest Florida". ^ "Holocaust museum presents best-selling author Edwin Black - February 18, 2016 - Florida Weekly". ^ Terrence Sterling, "Investigative Author Edwin Black Headlined Conference, Received First 'Moral Courage' Award," The Cutting Edge, Oct. 30, 2011. ^ Mariana Barillas, "Noted Author Edwin Black Schools Students on the Roots of Racism," Spero News, Dec. 9, 2014. ^ "McMorris Rodgers Receives "Justice for All" Award From American Association of People with Disabilities (AAPD)". Archived from the original on February 16, 2015. Retrieved February 16, 2015. ^ Paul Shore, IBM and the Holocaust, Guerrilla News Network, 2002.